Successfully Added Mobile Phone Wireless Camera + Receiver to your Shopping Cart. 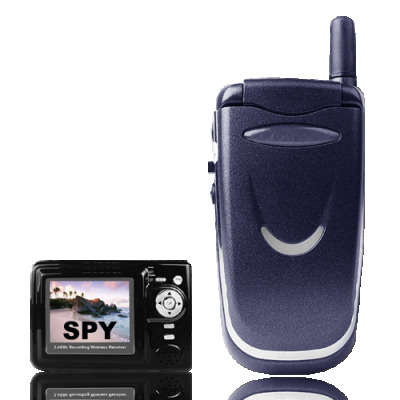 Incredible new wireless spy camera built into an inconspicuous cell phone casing, and coming with a Wireless Receiver and MP4 Player combo. This is a spy fans dream come true, and would do Q proud. Simply turn the Cell Phone Camera to transmit mode, have the receiver on the same frequency and be within 10 Meters and you will be receiving and recording video and audio signals without anyone ever being the wiser. Great for security, as a gift, or for having fun. Buy one of the coolest spy devices ever to come out of China direct from Chinavasion with no MOQ. Note: The Spy Camera is hidden in a Mobile Phones casing only. It can not be used as a normal phone. Also, you can not flip the phone open.